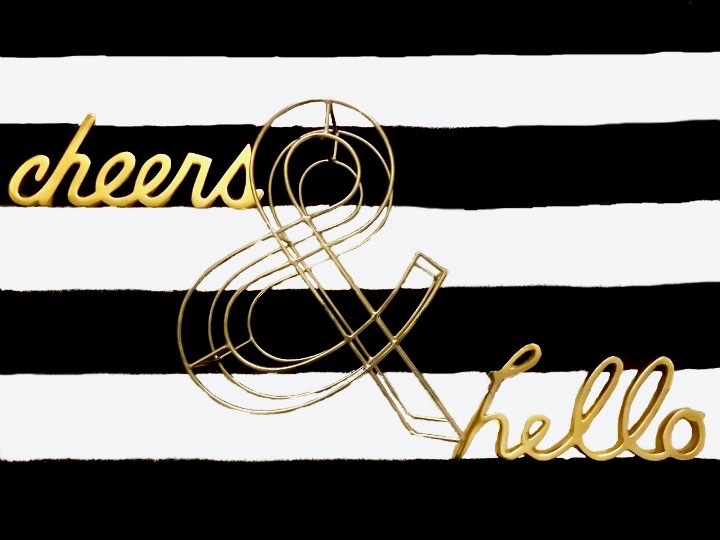 One Half of A Third: CHEERS AND HELLO! I really thought the title of this post (and obvs pic) were really smart because you know, its the new year so Cheers to that and I haven't blogged in tiiimmmeee so hello! Sometimes you have to explain your genius so it doesn't go unnoticed you know? 🙊Lol! Anyhow, I know I said in a previous post that I would be trying to blog more consistently but that didn't happen, sadly.With this being a new year, I have actually made myself a promise to get back into the things I enjoy and blogging is one of them so I will be doing it more consistently. I won't bore you with why I took a break etc in this post (might do a post on that later) but I plan on posting a bit more regularly now so yaayy!! To catch you up quickly on what my current life plan is about ; I went to Munich with the husband for Christmas and did tons of drinking and waay too much eating (you haven't lived until you have German potato dumplings!!) while we were there. In one night, I shxt you not, I ate about 400g worth of candied almonds, a hamburger and 2 snake bites (a drink that's made with cider, beer and blackcurrant. I hadn't had one since my post-grad years so there's that) and I believe a Prosecco once we got back to the hotel. We had a gym in our hotel which I used about 4 of the 6 days we were there but it was not enough to save me from the HORROR that was waiting for me on the scale. I got home and I weighed, the MOST I HAD EVER WEIGHED IN MY LIFE! So this has meant super drastic measures in the form of doing a meat free and alcohol free January in an attempt to get back to my old self. I am in no way saying being 'a certain weight' is important but I def just didn't feel good! I've lost about 1.5kg (3.3lbs) so far so I'm feeling pretty damn good currently (will tell you more about that later). Doing Veganuary (that's a legit thing but I'm also more Vegetarian than Vegan because..boiled eggs for gains) means I get to tick that off my 30 before 30 list as well so it's a double whammy!! So shamelessly, my life is currently about trying to get leaner so I can not look like a whale on the beach in Cape Town - in a nutshell! Anyhow, I have a few ideas for posts that I have coming up and I also want to try my hand at doing some videos for you to try and make it a bit more interesting (read: I will not become a vlogger, I will just make SOME videos). If you have any topics that you would like me to cover in video or otherwise please do comment below and I'll give it a go! I really want to try and make this year a little more tailored to my readers because there's no point in hashing out content that no one is interested in! On that note... Have a wonderful weekend and cheers to a healthy, fun and productive 2017 y'all! My name is Mel and I love all things sparkly, pink and pretty (I love them even more if they can be all three at the same time)! I also make a lot of crafty things because it's fun and saves me money to buy Nikes and lipstick!